Qualified in 2000 from Salford University, Catherine has spent most of her career specialising in orthopaedics and musculoskeletal physiotherapy. Catherine has had a wide range of experience initially working for the NHS in North West London and Surrey. For the last twelve years she has worked for the Military, as a sports and training injury specialist, in many locations. 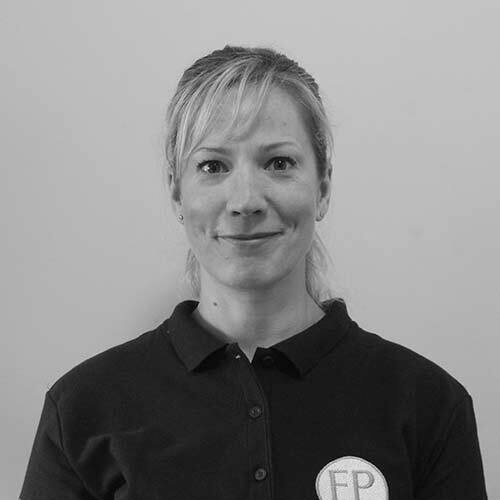 Catherine is committed to continued professional development and has completed many post graduate courses and has a Masters degree from Sheffield Hallam University in manual therapy. She is also a 200 hour yoga alliance certified registered yoga teacher and an Accredited member of the Acupuncture Association of Chartered Physiotherapists. Catherine has a specialist interest in treating sports and training injuries holistically, especially the lower limb. Catherine also enjoys paddle boarding, running, training in the gym and horse riding.